Have you ever looked on the back of a bottle of cleaning product and been horrified to read all the warning signs? Toxic! Caution! Corrosive! Unsurprisingly, many people are looking for greener and less toxic cleaning products. 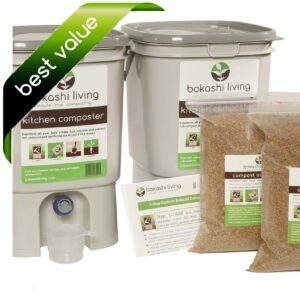 Effective Microbes (EM, the microbes in our premium bokashi bran) make a fantastic all-round natural cleaner for your house, clothes, and even your body. It may seem counter-intuitive to clean with microbes. Isn’t the main purpose of cleaning to remove microbes and bacteria?! But remember, there is a big difference between harmful bacteria and beneficial bacteria. Microbes (both good and bad) are all around us; in the air, on our hands, everywhere. The moment you clean your kitchen counter, for example, bacteria will start to accumulate again. The beneficial microbes in EM kill harmful pathogens. This makes them great microbes to have in your home. Over time, regular use of EM will populate your house with a healthy biome of beneficial bacteria. This army of good bacteria will help control harmful bacteria and clean up any toxins long after you have finished cleaning. The natural acidity of EM means that it can easily cut through grease and dirt. The beneficial microbes in EM can also control odors, making EM suitable for freshening and deodorizing around the home. The healthy biome of EM microbes that develop with regular use of EM form a natural protection against unwanted odors in your home. Using EM as a multi-purpose cleaner around your home is simple. For general cleaning, simply dilute with water in a spray bottle with a dilution ratio of 1:100. That’s the same as 5 ml of EM in 500 ml of water. Only mix up what you need as the EM solution should be used within one day. Recommended dilution: EM 1:100 (eg. 5 ml EM with 500 ml water). To freshen and deodorize curtains and other fabrics, simply spray on the EM solution and dab away with a clean, dry cloth. Regular cleaning with EM will create an environment where dust mites and other allergenic agents cannot survive. To clean floors, simply spray on and wipe away. Take care when using EM on natural wood and stone surfaces, as the EM solution may mark or stain certain surfaces. Make sure to test a small area first. If you have carpet some find that using something similar to Bissell could be another good way of cleaning. To clean mirrors and glass surfaces, spray on and wipe away. The acidic nature of the EM will cut through grease and leave your mirrors and windows clean and smear free. Recommended dilution: EM 1:50-100 (eg. 10 to 5 ml EM with 500 ml water). The EM solution can be used throughout the kitchen; fridge, sink, work surfaces, and cupboards. Spray and wipe with a dry cloth. 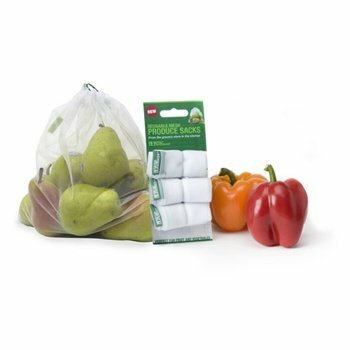 Regular use will help prevent unpleasant odors and kill harmful pathogens. Using EM of all bathroom surfaces will produce an exceptional shine, provide long-term protection against scale, mold and foul odors. Use the diluted EM spray to clean the toilet surfaces. In addition, add 50 ml of undiluted EM to the toilet bowl to prevent foul odors and to fight harmful bacteria. Recommended usage: 30 to 120 ml undiluted EM per load. Adding EM directly to your washing machine enables the amount of detergent required to be halved. In addition, the EM will help to combat limescale and other build-ups in the machine. Avoid using the hot cycle as the high temperatures will harm the beneficial microbes. The spray is safe for use on animal houses, kitty litter boxes, blankets, and directly on your pet to reduce odors and leave your pet with smooth fur.